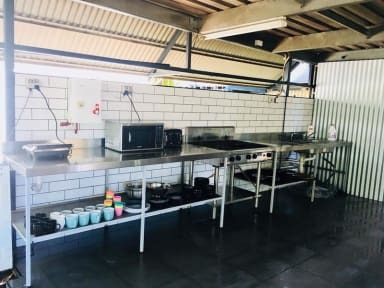 Down Under Hostels on Mitchell offers free laundry, free fast unlimited WiFi, air-conditioned rooms, swimming Pool, BBQ Facilities and shared kitchen in a great location!! Take a short 15min walk to the famous Mindil Beach Sunset Markets which are on every Thursday and Sunday Nights from April until October! Down Under Hostels is located on the main street in the CBD close to all shops, bars and nightclubs. We offer a Great Location and Friendly staff to make you feel at home! All payments made to Down Under Hostels upon check-in must be made in cash. Thank you. Please show your passport at your arrival. No passport, no entry. We do not accept any end of year sports groups. Groups : As we are a small hostel, we can't guarantee groups can be fit in the same room. Dorms are for adults aged between 18 and 35 only ! Private rooms, no age limit. super ambiance ! Je recommande vivement !! Nice swimming pool. No lockers in the bedrooms that close only with a password. Only two toilets and two showers close to our room, including one with no light. However, the kitchen is big, fully furnished and provide enough space in the fridge and cupboard for everyone! The staff is helpful and nice. Nice location in the Main Street is Darwin. Séjour de 2jours dans une chambre privée de 2, vous avez un code pour rentrer dans votre chambre mais tout le monde dans le backpack connaît le code universelle.. Les douche sont sale, les toilettes .. pas de PQ. La cuisine est dégeulasse Vous pouvez trouver l’argement mieux sur Darwin pour le même prix ou 10$ de plus Le wifi fonctionne très bien dans la cuisine vers la piscine etc. Mais dans les chambres bof Les machines à laver fonctionne bien. Mais l’espace laundry pareille sale..Enjoy!